"A SINGULAR, HAUNTING SCI-FI EXPERIENCE!" 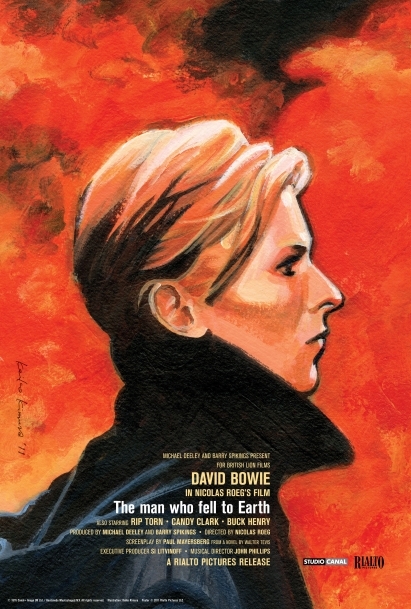 Thomas Jerome Newton (David Bowie) crashes to Earth and immediately registers a series of world-changing patents in an effort to return to his parched planet and dying family. But will the authorities let him go? "Science fiction drama, Western, love story, metaphysical mystery, and satire of modern America." "A science fiction film without science, a terrestrial space opera minus matte shots, models, or pyrotechnics that leaves us not wondering at the stars but grieving for ourselves."